Chic currently Chic featuring Nile Rodgers is an American band that was organized during 1976 by guitarist Nile Rodgers and bassist Bernard Edwards. It is known best for its commercially successful disco songs, including “Dance, Dance, Dance (Yowsah, Yowsah, Yowsah)” (1977), “Everybody Dance” (1977), “Le Freak” (1978), “I Want Your Love” (1978), “Good Times” (1979), and “My Forbidden Lover” (1979). The group regarded themselves as a rock band for the disco movement “that made good on hippie peace, love and freedom”. In October 2014, Chic was nominated for induction into the Rock and Roll Hall of Fame for the tenth time. Rodgers announced in 2013 that he was working on a new Chic album, based on recently-rediscovered tapes of unreleased material from the early 1980s. He also stated that Daft Punk is interested in working on at least one song of the unreleased material with him. Rodgers co-wrote and performed on three songs off Daft Punk’s 2013 Grammy Award winning Album of the Year Random Access Memories including the Grammy Record of the Year Get Lucky with and Pharrell Williams. 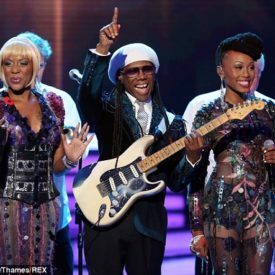 CHIC ft. Nile Rodgers headlined at the 2014 Essence Festival curated by Prince. 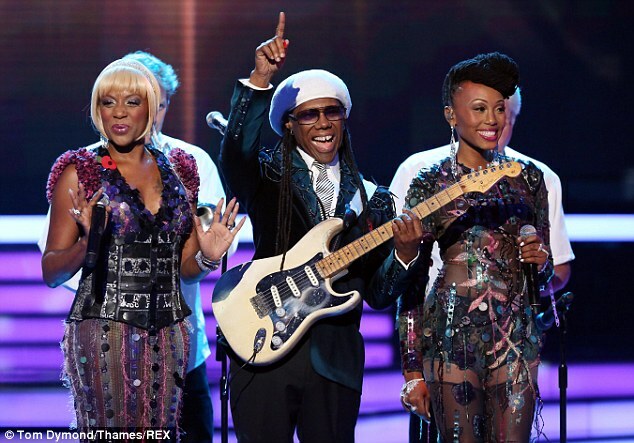 CHIC ft. Nile Rodgers headlined Bestival in the Isle of Wight, UK on September 7, 2014. Nile Rodgers played tribute to his guitar technician Terry Brauer at Bestival after learning of his death from cancer.